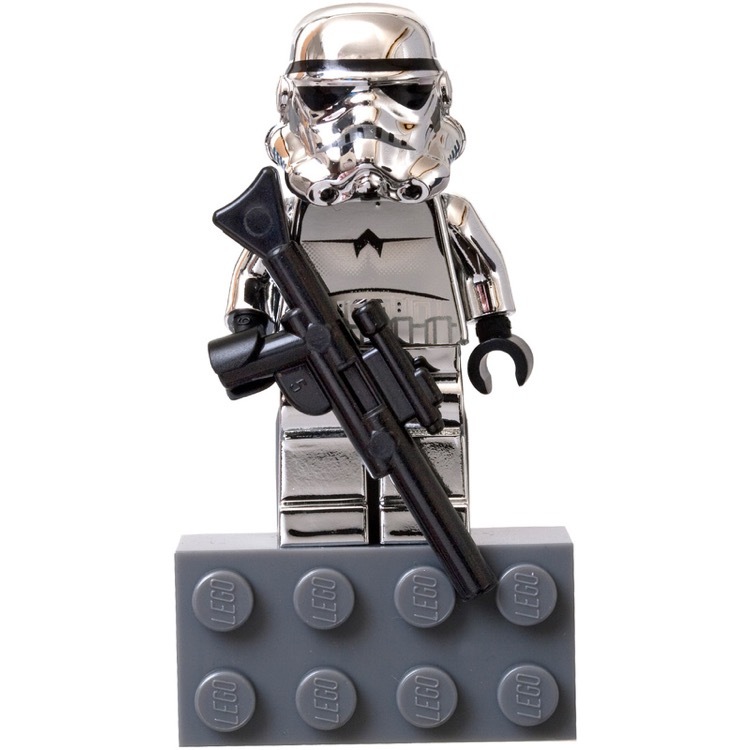 This is a BRAND NEW LEGO® Star Wars™ Classic 10th Anniversary Magnet Chrome Silver Stormtrooper. This minifigure© magnet is still factory sealed in its original plastic packaging and in very good shape. 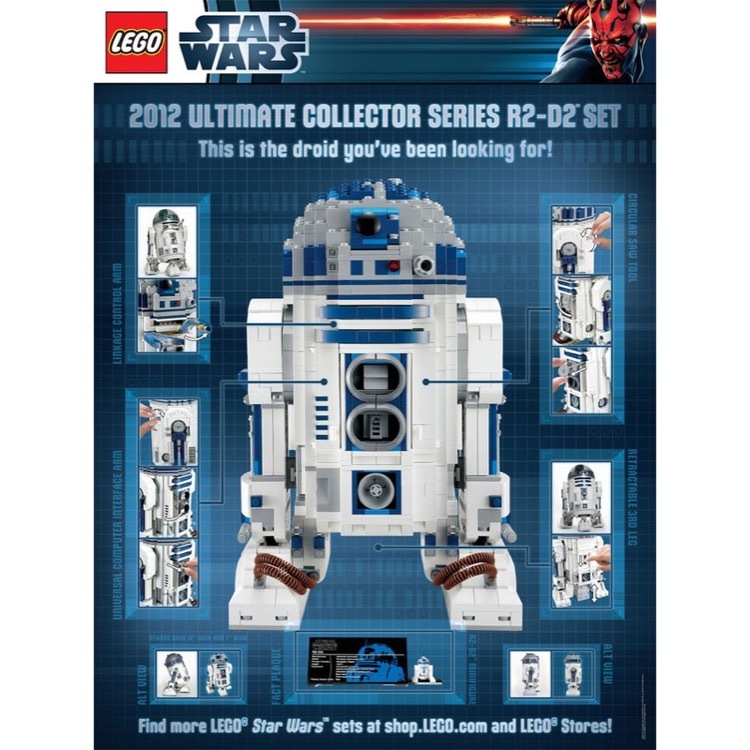 This is a BRAND NEW, HARD TO FIND Poster of LEGO® Star Wars™ Classic 5001162 Limited Edition R2-D2 Poster from 2012. 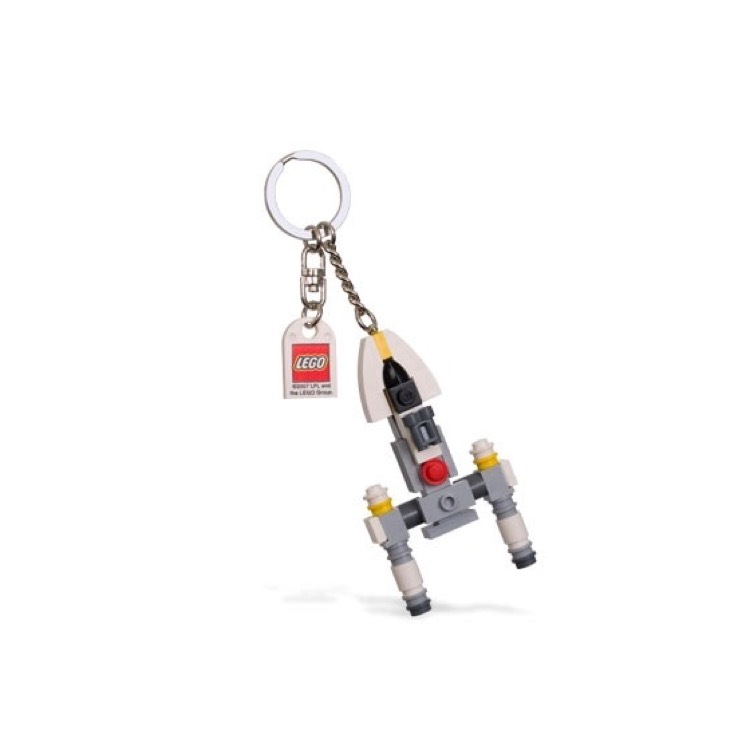 This is a BRAND NEW LEGO® Star Wars™ 852114 Y-wing Fighter Bag Charm from 2007. This is a BRAND NEW LEGO® Star Wars™ Classic 852553 Magnet set. This set is still factory sealed in the original plastic tubing and in very good shape. 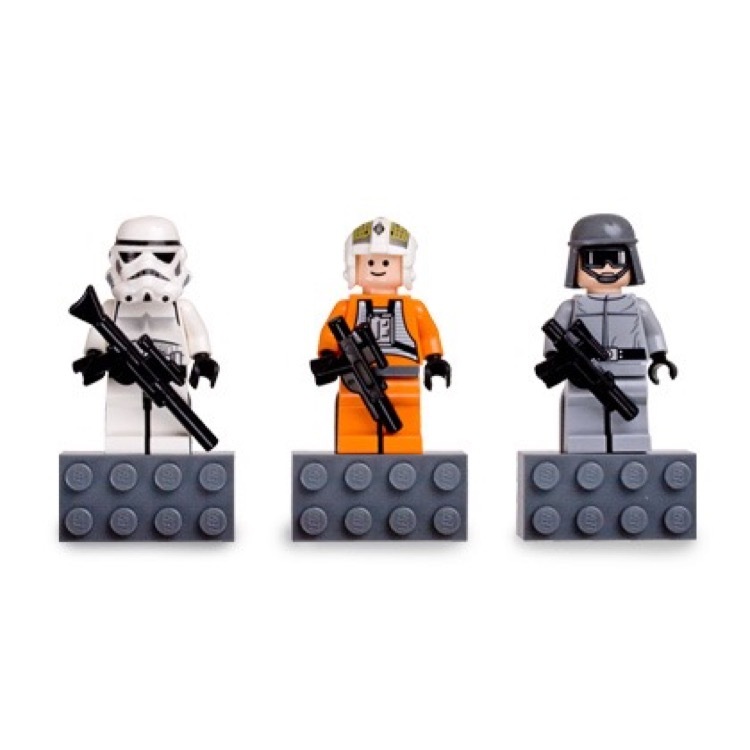 It contain 3 Star Wars™ Classic minifigure© magnets: Rebel Y-wing Pilot; Imperial Stormtrooper; and AT-ST Driver. This is a BRAND NEW LEGO® Star Wars™ Classic 852715 Magnet set. This set is still factory sealed in the original plastic tubing and in very good shape. 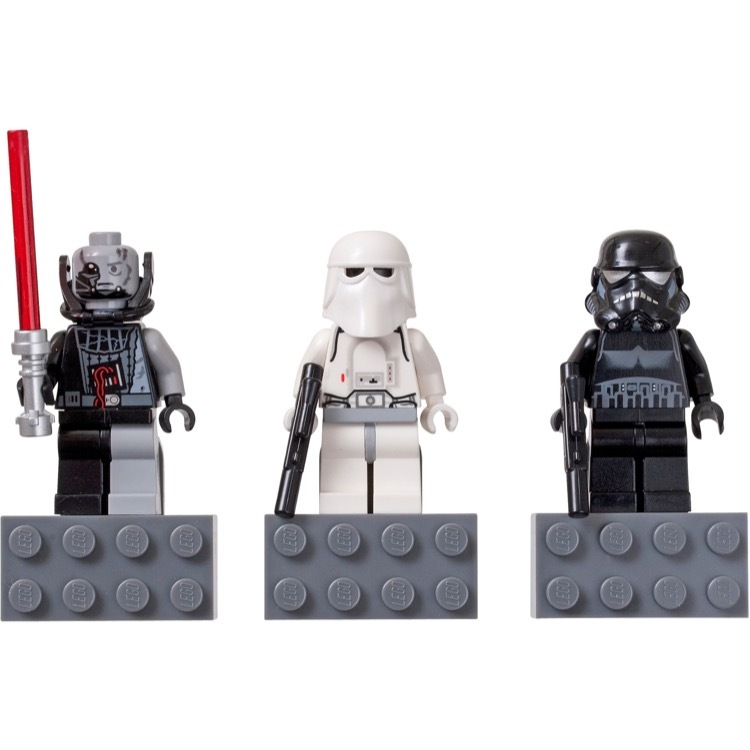 It contain 3 Star Wars™ Classic minifigure© magnets: Darth Vader; Snowtrooper; and Shadow Trooper. 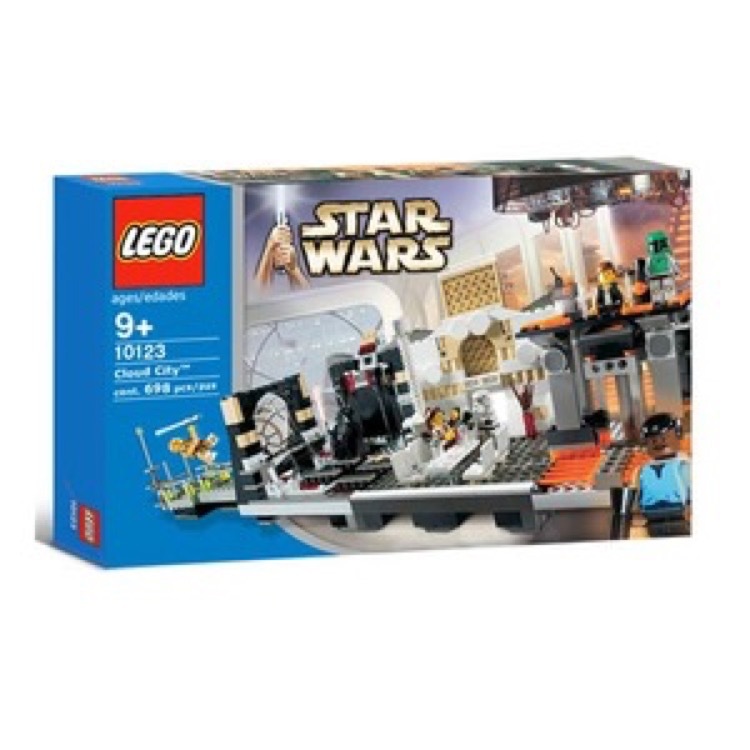 This is a BRAND NEW set of LEGO® Star Wars™ Classic 10123 Cloud City from 2003. This set is still factory sealed and the box is in very good condition with some minor shelf wear. 698 pieces and 7 minifigures©. 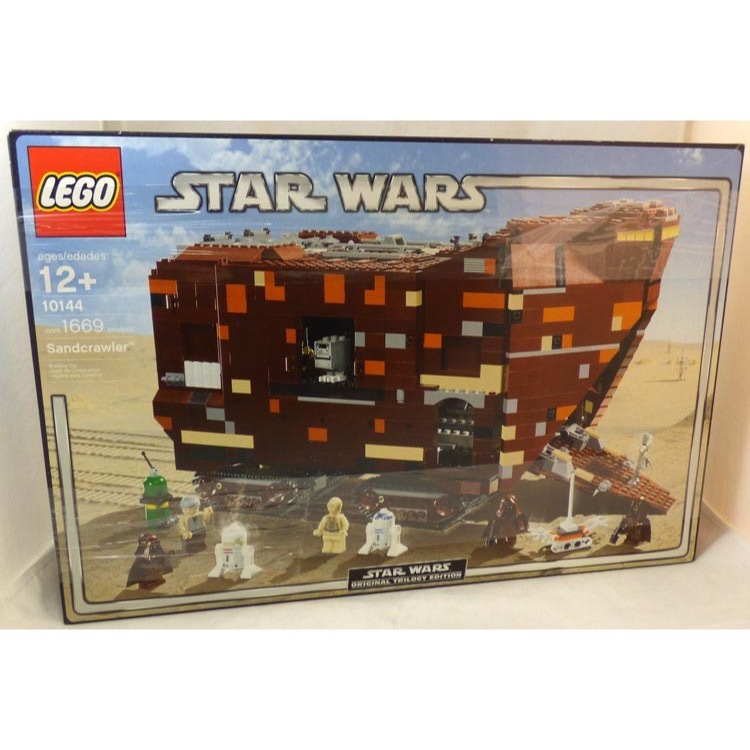 This is a BRAND NEW set of LEGO® Star Wars™ Classic 10144 Sandcrawler from 2005. This set is still factory sealed and the box is in very good condition with minor shelf wear. 1669 pieces and 11 minifigures©. 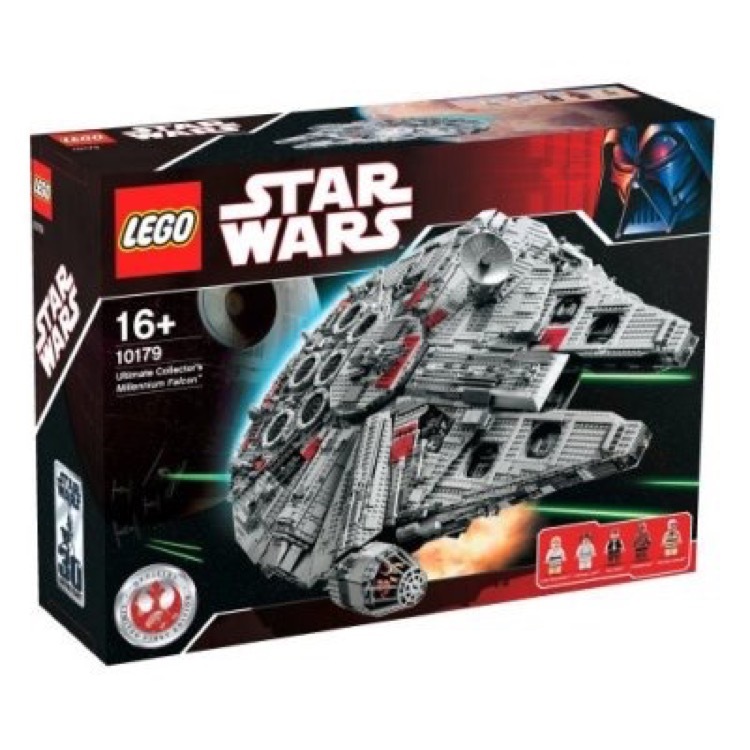 This is a BRAND NEW set of LEGO® Star Wars™ Classic Ultimate Collector Series 10179 Ultimate Collector's Millennium Falcon™ from 2007. This set is still factory sealed and the box is in very good condition with minor shelf wear. 5195 pieces and 5 minifigures©. 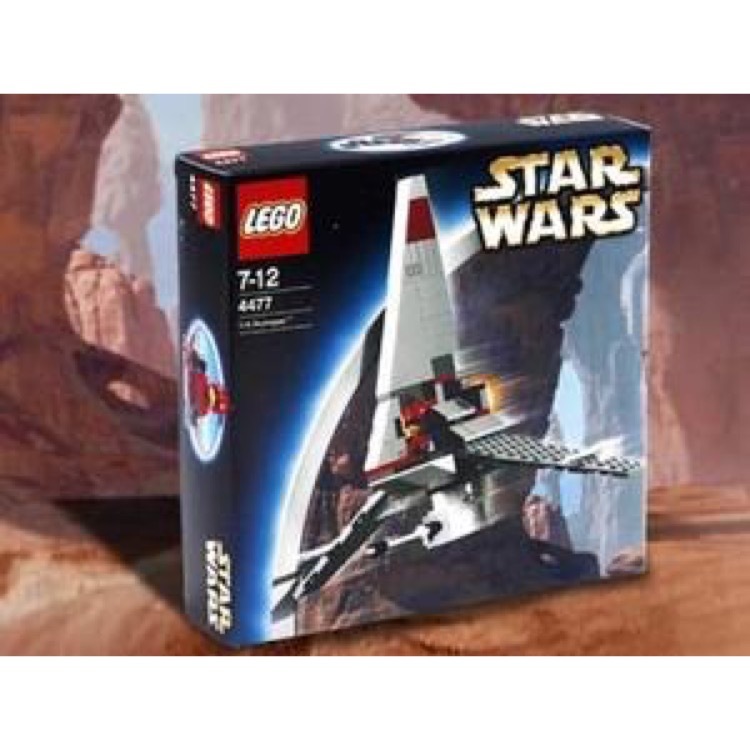 This is a BRAND NEW set of LEGO® Star Wars™ Classic 4477 T-16 Skyhopper from 2003. This set is still factory sealed and the box is in very good condition with minor shelf wear. 96 pieces and 1 minifigure©. 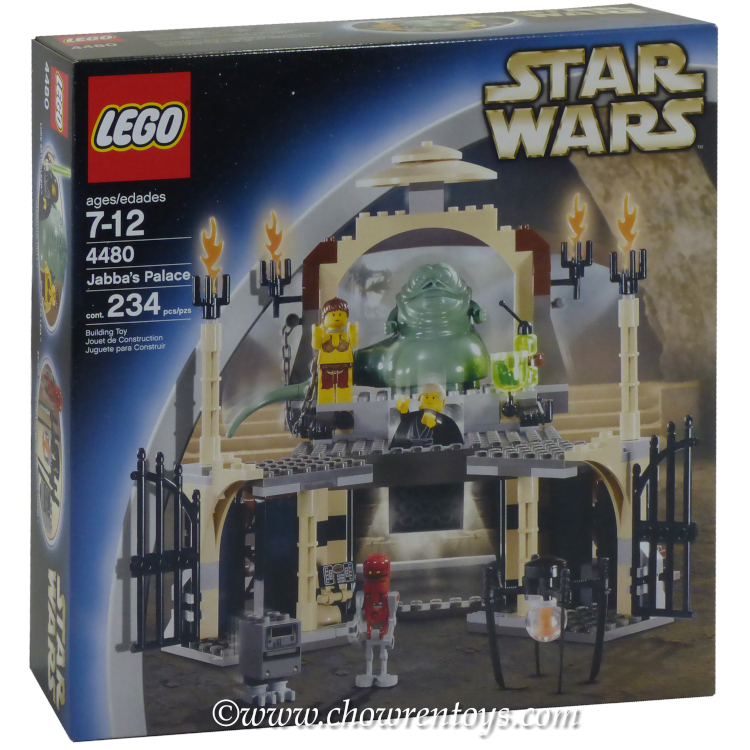 This is a BRAND NEW, HARD TO FIND AND DISCONTINUED set of LEGO Star Wars Classic 4480 Jabba's Palace from 2003. This set is still factory sealed with minor shelf wear. 234 pieces and 6 minifigures©. 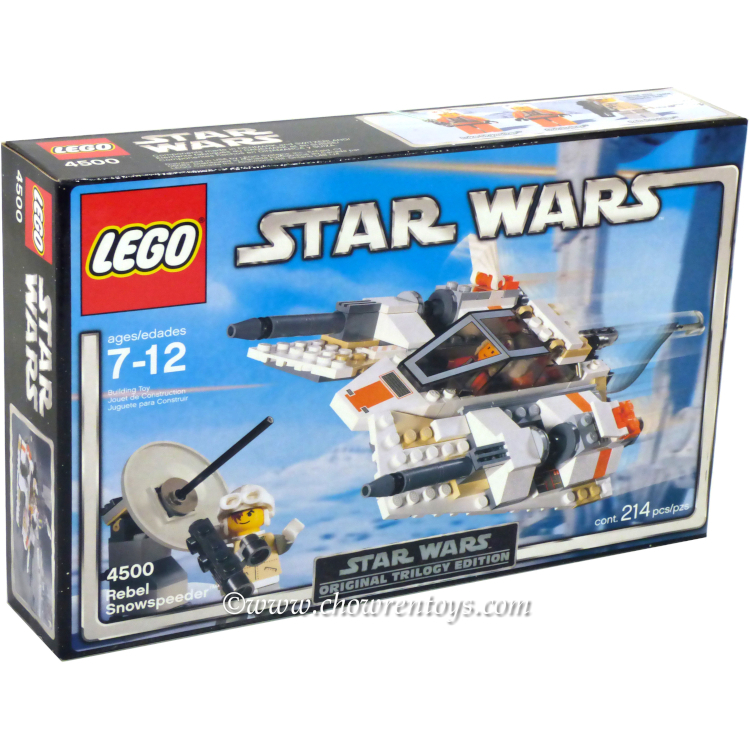 This is a BRAND NEW set of LEGO® Star Wars™ Classic 4500 Rebel Snowspeeder from 2004. This set is still factory sealed and the box is in very good condition with minor shelf wear. 214 pieces and 3 minifigures©. 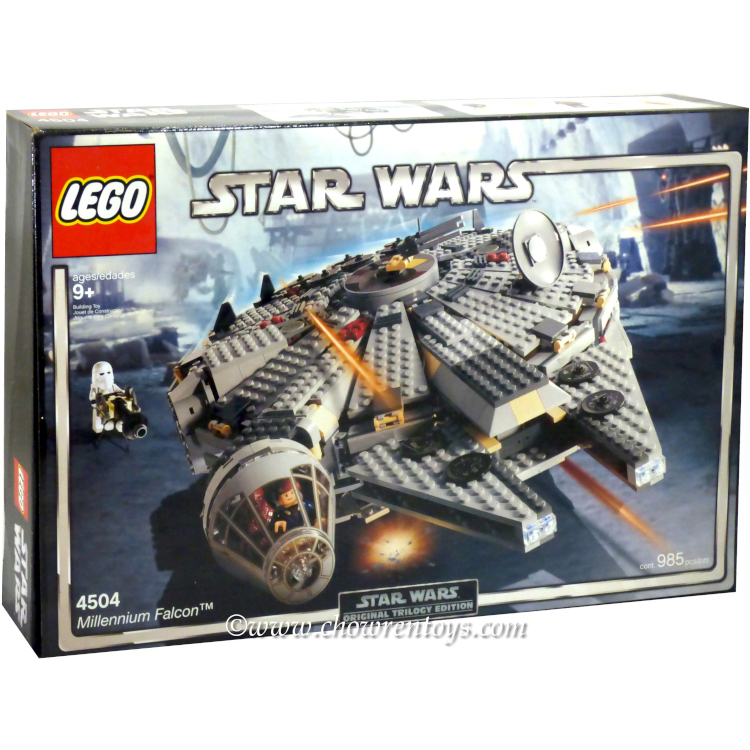 This is a BRAND NEW set of LEGO® Star Wars™ Classic 4504 Millennium Falcon from 2004. This set is still factory sealed and the box is in very good condition with minor shelf wear. 985 pieces and 5 minifigures©.